HOW TO TRACK YOUR ENEMY. Sweat stings tired, dust-filled eyes. Adrenaline throbs like an electric river through your body as you search the near by bush. Every nerve feels for the enemy you know is there — somewhere. Your unit has been ambushed and the guerrillas have broken contact and fled. At least, that’s what you think. If your unit is lucky or well-trained or both, you may have few or no casualties and your blood is up to get the bastards. The problem: how to track your enemy. Today’s mercenary soldier is usually the product of NATO-styled, technologically-oriented armies and as such has had little experience in tracking people. He is usually a foreigner, brought in to stabilize a desperate situation or to bail out some well-heeled bigwig, and is operating on strange terrain, under difficult conditions with marginal troops. Perhaps you should think back to a few months earlier when you first began this operation and let’s assume you are ope­rating on a fairly long-term contract. Your first concern is the terrain. You can’t track in it, if you don’t have a rudimentary knowledge of the Lay of the land. Prior to operating in the area, you should, ideally, have spent a few days acclimating your troops, if they are not local boys. During this period, thorough map studies with available maps, air photos, and even touring guides can be helpful. Extract detailed briefings from the local police, military officials, and population. Talk to local farmers, natives, anyone who has been in the area in which you will be operating. Your equipment should be organized during this period as well, and any remedial training necessary conducted. 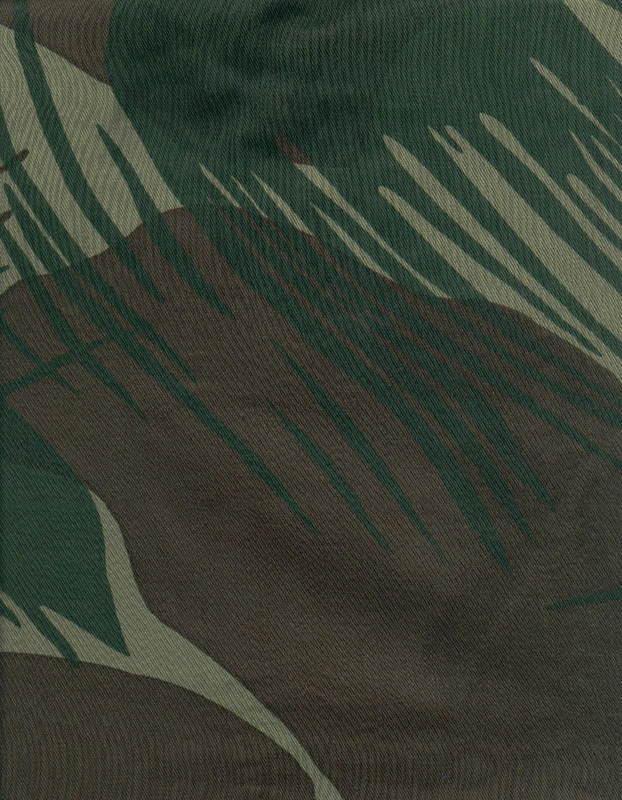 Pay special attention to camouflage. Secure all your gear, discard the inessentials, and inspect the troops for the same. Carry food, water, and ammunition and go as light as possible. Some trackers dress like the enemy and use captured weapons. This is helpful if you are tracking outside your own country and into enemy-dominated countries. Exercise caution. A large number of people, dressed in the correct uniform, have been shot in error by their own troops. Weigh the pros and cons carefully. Also try to learn as much about native fieldcraft as possible. How do they use the terrain to survive? Where do they get food and water, and what do they use for expedient tools and weapons? Study all information on local weather. It will have a definite effect on your operations and hence your tracking. By enlisting the natives, if possible, to teach you about local vegetation, you will gain excellent survival information which may help you make decisions as to enemy movements. If he is far from his supply bases, he will attempt to live off the land to sustain or even expand his operations, especially if native assistance is denied him. How ever, do not assume that the enemy is an excellent bushman just because he is indigenous to that continent. In Rhodesia, Angola, and Mozambique, terrorists have been found wandering, lost and starving, because they were also strangers. My tracking instructor in Selous Scouts once related that he could track and live most anywhere but that his effectiveness would be greatly reduced outside his native area and consequently his con­fidence in his ability would suffer. And he was considered to be the best tracker in Rhodesia. If you know the ground and are comfortable in it, you already have a 30 percent edge on the enemy. 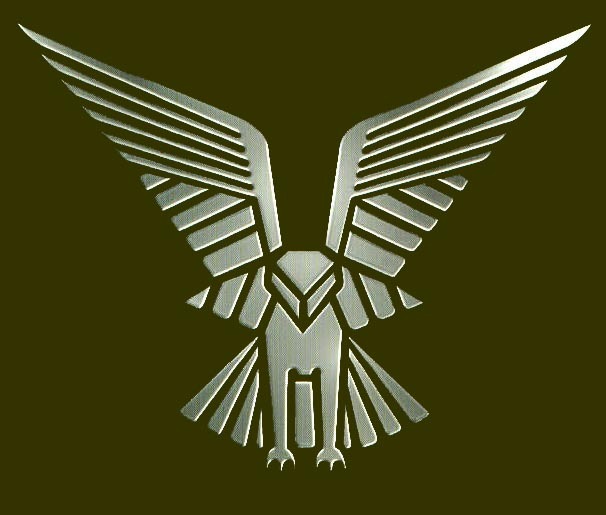 Glean as much information as possible about animal wildlife in the area, It will be invaluable in tracking and if your next supply column is ambushed or the quartermaster sells it and retires to the south of France you can still feed your troops. Secondly, know your enemy. The better you understand him, his motives, aspirations, traits, habits, tactics, and attitudes, the greater your tactical edge on him. As a result, you will be able to run him to ground sooner. Once you understand the enemy, your task will become much easier. If possible, keep notes on tactics employed against your unit and other police and para-military groups. Look for patterns of the enemy in general and specific commanders in particular. Watch his standard operating procedures and record his responses to your tactics. Intelligence is usually extremely limited to a mercenary, so be your own S-2. Absorb every piece of information available to you. Now that you have some idea as to the enemy and the situation, you may investigate the feasibility of using native trackers. Seek out local authorities as to who the headman, local chief or Kraal head is and his location. Then with one of the officials, who is known to the chief, approach him for the assistance of the most reliable, efficient trackers in the area. You may have difficulty since he may be in sympathy with the guerrillas or just plain scared. Allay his fears if possible, and be prepared to offer top wages and protection for the trackers and their families. This is the only way to assure some semblance of loyalty. Investigate any native male of military age who might be seeking revenge against the terrorists. Use this to your advantage. When dealing with native troops, be firm, fair, and honest. Be friendly but not familiar and treat them with respect and accord them the dignity due their station in the tribe; Treat them well but not lavishly. Make sure they understand exactly what is expected of them and guide them adequately in the field. Never assume anything and always be decisive. Never promise them anything unless you can deliver immediately and never lie to them. In many situations only mutual trust and respect will keep them loyal to you. Once you have employed your trackers, you may be puzzled as to how to gauge their effectiveness. Probably the most positive way is to see how often they track into contact. If they are constantly being fired on first, then your troops are only marginal types. Good trackers will be able to tell how far ahead the enemy is and alert you to this fact so you can request air cover or more follow-up troops to reinforce your patrol. 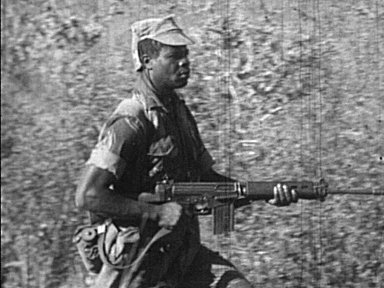 One of the premier trackers in Rhodesia, an African NCO in Selous Scouts, has personally tracked into and killed 80-plus terrorists since the war began. What is even more remarkable and clearly demonstrates his prowess is the fact that he has tracked and located twice that number of terrorists without the enemy realizing his presence until the follow-up troops attacked. He is so valuable that he is now responsible for training tracking personnel for the entire Rhodesian Army and is only called out when specific terrorist commanders are suspected of operating in the area. This article has been written to help you if you wish to become a better tracker or to know enough to properly employ and command tracking teams. This knowledge will not make you a tracker: Only practice, practice, and more practice, under expert supervision, will do that. Now, for the most important aspect: How to track. First, psychologically and physically prepare for the hunt. You should be in good physical condition with excellent reserves of stamina, alert, reasonably well fed and above all confident in yourself and your men. You may be forced to travel for days under adverse conditions, without food and with little water, at a fast pace and tinder tremen­dous mental stress. Tracking requires intense concentration, stamina and an eye for detail. Secondly, you must know what to look for when reading spoor (tracks). When you begin tracking, try spooring large groups in easy terrain for short distances. Usually soft ground with knee-high grass is best. Send out three or four people with instructions to walk for about five to 10 minutes, depending on the bush growth, and then rest until you find them. Your attention span at first will be short and you will tend to discourage quickly. You will lose the spoor often, but don’t worry. No-one is a born bushman. Be patient and concentrate on the spoor. As you become more aware of what to look for, the legs of spoor can be lengthened until your spoor layers are given a 30-minute head start. This can be extended to hours until they are laying spoor in the morning and you are tracking later in the day. As you are tracking, look for evidence (track signs) of disturbed grass; bent blades will reveal the direction of travel. The top of the grass will point in the direction the person is walking. if the enemy has passed through after sunrise the dew will be disturbed and a faint darkened area will reveal his trail. Watch for broken spider webs or cobwebs. When examining spoor always keep your head slightly up and look 15 to 20 yards ahead of you. It will enable you to see the spoor better, deter­mine the direction of movement, and keep alert for likely ambush areas, If the terrorist knows or suspects he is being followed, he will try to set you up. Be alert, patient, and careful. Watch for rocks that have been overturned. The dark side will be up or you will see the impression on the ground where it once rested. Although mid-day heat will dry the rock quickly, it tells you the terrorist is only hours ahead of you. If you find it in the morning, then he has been moving prior to sunrise. The darker and wetter the rock, the closer your quarry. Much of’ tracking means noting what is out of context in nature and realizing the cause. Move from sign to sign and always be sure of your last confirmed sign before you move on to the next. There are, of course, the obvious: footprints in the mud near streams and water holes and along sandy rivers; leaves on plants that have been broken, knocked off, or turned so that the light underside contrasts with the surroundings; scuffed tree bark or mud scraped from passing boots and the im­pression of rifle butts being used as crutches or canes up steep slopes. Of course, there is the old favorite, blood on the vegetation and trail. Watch for discarded ration packages, food tins, and even dropped or discarded documents. U.S. troops in Vietnam were easily tracked, not by recently cut jungle foliage but by their inevitable trail of Kool-Aid packages. Once you have identified the spoor, try to identify the type of foot gear. Often different guerrilla groups wear different type boots. Terrorists in Rhodesia have been killed and captured carrying two or three types of shoes and wearing two or three shirts and pants, at the same time! Make sure the print is not one of your own people or security forces and keep a record of the different type prints you encounter. Plaster impressions, drawings, photos or even a copy of the soles themselves should be on record with local intelligence people. The Rhodesians and South Africans make copies of all terrorist footwear and distribute these drawings to the local population. Village police, hunters, and farmers walking in the bush have often discovered the trail of terrorist gangs who have crossed from Zambia or Mozambique and have alerted the security forces. The depth and space of the tracks will also tell you something about your foe. Women take smaller steps, as do heavily laden men. People running will leave more space between tracks and men walking in each other’s tracks will make deeper impressions. Also, they will cause the edges of the tracks to be less distinct. Drag marks could indicate wounded. Once you have identified your particular track, follow it even if the group splits. Sometimes guerrillas will split up or bombshell, until you are left following one set of tracks. If you have the personnel, you can assign tracking teams to each set of tracks. If not, pick one and run him to ground, then pick another. Try to stay with the main body, if possible. You may get lucky and nail the commander or political officer or you may end up following the spoor to the RV point where you can am­bush the entire gang. Sunlight will also have some effect on reading spoor. If you are tracking into the sun and are experiencing difficulty in seeing the sign, look back over your shoulder every few yards to confirm your spoor. Never walk on your spoor and caution the follow-up troops behind you also to walk to one side of the tracks. If you lose the spoor, it is imperative that you go back to the last positive sign, confirm it, and then begin a search pattern to relocate the tracks. Watch for the absence of insects or wildlife. Most wild creatures are shy of man and will seek shelter if he has been in the area. Birds are great indicators of men as are baboon, impala, and many types of deer. Listen for animals snorting or running and note the direction. Something is there. If you lose the trail, there are a number of search patterns used to relocate spoor. The most common are the cross grain, the box search and the 360-degree sweep. Go back to the last positive spoor and mark it. Then look up to about 25 to 30 meters in front of you and sweep from center to left out about to 45 degrees and then sweep back to center. Repeat the process to the right, each time coming back to your feet and the last confirmed spoor. Look carefully and slowly and most times you will pick up the spoor again. If not, brief the troop commander to alert his men to the fact that your trackers will be circling to the front and flanks and possibly to the rear. To use the cross grain method the tracker moves laterally from the spoor either left or right about 100 meters and then doubles back toward his original line of march. Each time he turns, the tracker should advance about 50 to 75 meters forward before doubling back. (See the accompanying diagram.) If you have moved approximately 500 meters ahead of the last spoor and still cannot find the tracks, resort to the 360-degree method, gradually expanding your circle until you find your spoor. Another important point is to determine the age of the spoor and the number of personnel involved. To determine age, note the way in which vegetation is disturbed. Grass blades will remain green for about a day after being broken. Prints in mud will usually take about an hour to fill with water, depending on the amount of moisture in the earth. Disturbed dew drops on grass and plants will indicate passage of something within the last few hours. Dew usually stays on for about four hours after sunrise. Overturned rocks take a couple of hours to dry in direct sun. Cobwebs and spider webs usually take about an hour to be replaced by the insects. Rain can also be used to your advantage to indicate age of spoor. if you know the last time it rained in the area, you can tell how old tracks are. Animal prints superimposed on the spoor will tell you that the spoor was made prior to nightfall, since most animals move at night. The reverse is applicable. If you see the spoor on the animal prints, the spoor was made sometime after sunrise. Broken twigs and vines are also good gauges of time since it requires about 10 hours for the pulp inside to begin to turn brown. If you discover a resting area, check the campfire’s heat. Look for cigarette butts, ration tins, documents, letters, or diaries. If your terrorist is communist oriented, he will usually be carrying a diary. Look for human feces near the camp. Interrogate all the locals you meet. They may be hiding the guerrillas, feeding them, or know where they are camped. The trail itself can be used to tell age. If it is erratic or circuitous, your enemy may be walking in the dark. The second most important factor is the number of people you are tracking. There are two methods I have seen used. The first is taught to Special Forces and Ranger graduates and is used by the U.S. Army; the other is popular with Rhodesian and South African Defense Forces. In the U.S. method, take the length of an average pace and measure it on the ground next to the tracks. Now lay out a space about 18 inches wide across the tracks so that the prints are enclosed in a box that is 36 inches by 18 inches. Count all the whole and partial prints in this box and then divide by a constant of two. If you count 10 prints inside the box, your answer is five people. The Rhodesian method uses the length of the FN rifle or G-3 rifle and the same 18 inch (45cm) width. Using this method, count only the whole prints you see inside the box. If the answer is four or less, that is what you report to the team leader or headquarters. If the answer is five prints, then add two to the number and report that number. If you read six, add two and report eight. This is a safety factor that seems to be right most of the time. Should you discover a resting place, count the places on the ground and no matter what the number, add two and report that number. Should you be operating more conventionally, call in periodic tracking reports to your headquarters. These can be plotted on a map and a general pattern determined. It will also allow different terrorist groups to be plotted together to determine if this is some sort of coordinated action. It will also establish what routes are being used to funnel enemy troops into and out of the area. A sample of a tracking report might follow the following format. Use the code word NDAT. First give your location using the standard military grid system. The “N” is the number you believe to be in the enemy unit as determined by your print count. “D” is the general direction of spoor expressed by magnetic bearing. “A” is age of spoor, if possible. And “T” equals type of spoor followed, boots, shoes, bare feet, etc. Next, let’s discuss tracking team assignments and duties. First, the team leader: He is responsible for the control of the team and all follow-up troops until the time of contact, when control of the follow-up units reverts to the ground commander. Once the trackers have found the enemy, conventional tactics can be used to close with and kill him. The team leader relays information to the CO follow-up troops and the next higher headquarters. He is responsible for briefing the troops in the team operation and what duties he will expect of the ground follow-up unit. On contact, he extracts the team, if possible, and allows the infantry to engage the enemy. Trackers are too valuable to risk in a fire fight and should not engage unless there is a serious manpower shortage. He is also the tail gunner, if the team is working alone. The tracker: He is responsible for reading the spoor and interpreting it to the team leader. The flankers: These two men, who are also trained trackers, are responsible for the forward and flank security of the tracker. As the tracker becomes fatigued, they rotate duties with him so that all the trackers remain fresh and alert. The team leader does not pull tracker or flanker duty. The flanker’s function is most important; he will probably see and engage the enemy first. He must be alert and ready for instant action. Follow-up troops: These men are under the control of the team leader until contact is made or the enemy pointed out to the CO of the follow-up unit. Follow-up troops should be in close proximity to the trackers, although reinforcements can be vehicle or airborne and on call. 1. All members of the tracking team should be trained, experienced trackers. 2. Four men seems to be the best number for team size. 3. If possible, never separate a team once formed. Teamwork saves lives and gets results. 4. Get the trackers on the spoor as soon as possible. 5. Once the tracking team commander is on the ground, be he private, lance corporal or general, he is in charge. More tracking scenes have been blown by operations-room signal officers and helicopter pilots with Napoleon complexes than I can count. Until contact with the enemy is made or spoor is lost, the team leader is boss! If this rule cannot be adhered to, have no qualms about packing up and going home. 6. Rotate tracker and flanker often. Tracking requires exacting concentration and the pressure is terrific. The team leader should watch for these signs always. 7. When operating, use hand signals at all times. If you must confer, take cover and whisper. You can devise your own signals but use the same ones consistently. 8. Rest your teams as often as possible. Once on the spoor, they may be forced to travel for many days. Tired people make mistakes. 9. If a general pattern is discernible by the intell chaps, you may wish to try to leap-frog to get ahead of the guerrillas. While one team is tracking, have another check a few kilometers ahead for the same spoor. If found, up-lift your team and continue the trail there. Use this technique carefully and don’t try to hurry. 10. If you have the teams, you can saturate the area being tracked. Just about all standard infantry tactics apply to tracking teams with the exception of the crossing of obstacles such as rivers, streams, roads, trails, or rail lines. Instead of the flankers crossing to recon the other side and then calling the rest of the unit over, the team, after carefully observing the far side, crosses together under the cover of the follow-up troops. This is done to keep any spoor on the other side intact and undisturbed. The risk imposed upon the team by use of this tactic is less important than staying on the tracks of what could prove to be an important guerrilla leader. Once contact is imminent, troops can move to a skirmish line behind and to the flanks of the tracking team. This allows the troops to move forward at once and leaves the trackers a gap to fall back through. If you are short of men, the trackers can maintain their place in the sweep line and reinforce the infantry (the trackers seem to prefer this idea so they can get a few shots off as well). 1. Wear the same boots as the enemy, if you are operating in his territory. If he goes barefoot you could be in for some tough going. 2. Use animals or cattle to cover your tracks. 3. Move in the rain if possible. 4. Use streams and rivers, roads and railways to cover your spoor. 5. Walk on rocky or hard ground. 7. Split up or bombshell and circle back and RV (rendezvous). 8. Brush out your tracks with bushes, hats, or neck scarves. 9. If dogs are after you, try using CS or tear gas powder or pepper laced with ammonia on your tracks. 10. If you can, booby trap and ambush your trail. If you have the use of scout dog teams, by all means , employ them. They are there to support the ground troops in locating the enemy and to provide silent warning. They may also be used as listening and observation posts. Once you know you are going to use dogs, have them assigned to the unit as far ahead of the mission as possible. This gives the team and the dogs time to adjust to each other. The handler should let each member of the patrol touch the dog to eliminate fears the men might have. Scout dogs have limitations which should be borne in mind. Dogs have acute senses of smell, good hearing, and are attracted quickly to movement. Dogs are subject to periodic retraining and are as sensitive to the elements as humans. The best position for the dog team is directly in front of the patrol. Wind conditions may require that the team move to windward to take advantage of the dog’s sense of smell. Some dogs can, depending on weather and wind, sense the enemy 200 meters away. The dog can be used to locate sentries and determine the extent of positions and emplacements and may assist the patrol leader in setting up his men without being detected by the enemy. 1. If the handler is killed, leave the dog with him and report it to your HQ. 2. If the handler is a casualty, try to lure the dog away so you can treat him. If you must evacuate one, send the other as well. 3. Treat the team as one of the unit. Support them and keep the handler informed of all tactical moves. 4. Let the handler select the dog’s posi­tion in the line of march. 5. Seek the handler’s advice in employing the team. 6. Do not expect the team to perform miracles and do not relax your alertness because they are with you. 7. Do not feed or play with the dog. Although the information in this article will not make you an “ace” tracker, it will give you a better awareness of tracking and the tactics employed by tracking teams and the Selous Scouts. The only way to become a competent, reliable tracker is to use the method of the natives: practice, practice, practice. It is a skill that can stand you in good stead on your next operation, enhance your com­bat effectiveness, and perhaps save your life. Tracking was among the skills that Capt. 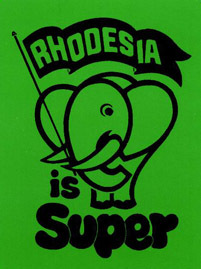 John Early, SOF contributing editor for military affairs, learned in his 12 years with the U.S. Army and three years with the Rhodesian air force and army. In the Army, Early spent 4½ years in Vietnam as a Special Forces NCO and officer with the 5th and 10th SFGA. His Rhodesian tour included service with the elite Selous Scouts. **NOTE** The source for this article was from SOLDIER OF FORTUNE, July 1979, page 52.